The other team is the so called ‘deep state’...I still think Fox is a part of that group. Well, as I say, at the 2000+ level you begin to get the cheats. So no thanks, rather not. Btw, this was the real Jessica Beil and not just someone using the name? I don’t see chess listed as a hobby at her IMDB or Wikipedia sites. Last edited by Dumpster Diver, 16th December 2017 at 12:21. “too gracious”: thanks, not many folks apply that term to me. I once was a ‘slit your throat and dance in the blood’ type of chess player, but those days are, thankfully, long past. Your note got me looking, I don’t see a Jessica Biel listed at Gameknot, so she was playing under some other name? I didn’t see her on your team or as a former member. She is of some interest since she is married to Justin Timberlake, who is of some ‘deep state’ notoriety. I occasionally play via FICS (Free Internet Chess Server). However, my rating for standard games — i.e. 15 minutes or more — has gone all over the place. I'm not even sure what it is anymore now, because lately — and I haven't been playing all that often anymore — I can't find any registered players of my level, so I always play against unregistered guests, and they don't have a rating, nor does such a game change my existing rating. FICS also uses a kind of fuzziness factor in its ratings, i.e. if you haven't been playing any rated games in a long time or you're a still new player, then this fuzziness factor allows for a greater deviation. So for instance, if you win, then your rating will go up quite a bit more compared to when you've been playing regularly, and conversely, if you lose, then your rating will go down quite a bit more too. The amount of points that your rating goes up or down also depends on the rating of your opponent. Your rating will go up more if you win from an opponent whose rating is higher than yours, and so on. And the difference in rating between both players even affects the adjustment of their rating if the game ends in a draw. Let's just say that my rating should normally sit somewhere in between 1200 and 1700, but due to technical difficulties with my previous version of Knights — the KDE/Plasma-specific chess client for GNU/Linux — my rating had been going down for quite some time while it should actually have gone up, and it took me a while before I realized. The problem was that when I checkmated my opponent, the user interface would tell me I was the winner, but it would sever the connection with the server before the last move had been registered at the server end, with as a result that the server considered me to have forfeited by disconnection. I've beaten 1700+ players and I've lost from 1300+ players. My blitz rating doesn't even rise above 1000 anymore, but then again, blitz games at FICS are usually 5-10 minutes — sometimes less — and in a blitz game, I usually end up running out of time, rather than that I resign or that I get checkmated. Some of those unregistered guests do indeed use a chess engine. You run into lots of weirdos on there too. There's this one guy who always plays anonymously — i.e. as an unregistered guest — and he's brilliant as a chess player, but he's also a psychopathic sadist. Instead of finishing you off when he has a chance, he'll toy with you, just so as to annoy you, and then he starts mocking you, laughing at you and insulting you, as if the only thing that matters in life is chess, and nothing else you do matters. And you can't report him to the staff, because guests have a different name with every connection they make — "GUEST" followed by four randomly chosen alphabetic characters. He's also a racist, because if I tell him I'm from Belgium, he'll refuse to believe it and he'll say I'm an Asian, and he hates Asians. You also get a lot of unregistered guests who don't appear to know how to resign, and so when they think they can't win the game, they'll just disconnect. The more annoying kind doesn't even do that. They simply stop playing and let the timers expire. So if you're playing a 15-minute game and they stop playing after 3 minutes on their own clock, then you're going to have to wait until the remaining 12 minutes have expired, or else you forfeit the game. I've played against 1300 level players that would kick Magnusson's buttocks. I take it you mean Magnus Carlsen, rather? By the way, we have a member who signed up under the name magnuskarjakin, but whoever he or she is, he or she hasn't been back anymore since they registered — which was around the time that Carlsen and Karjakin were playing against each other in the World Chess Championship earlier this year. This behavior is not uncommon, though. We get a lot of drive-by registrations. People stumble upon The One Truth, they sign up in a whim, and then they forget that they have. People have such short attention spans. If you don’t play that frequently, chess.com is essentially free. So is Gameknot, but again, no online interactive chess. As chess is a war game, and can open very selfish emotions, I’m now seeing it as a gateway ‘drug’ to poor behaviors. I use it to keep myself mentally challenged and I really try to bite down on the ‘win at all costs,’ ‘I’m better than you are’ tendencies. I think you hit on why I never got into chess, Dumpy. It wasn't fun. That's not fun. I like a challenge, but not that throat-cut level. And it's worse if you're a woman playing against men, or better if you like that kind of thing. I am fascinated by the game and it's origins. I still have some stuff to learn. My friend can always roll just what he needs in backgammon. He's so good at rolling the dice that his father eventually refused to play the game with him. We play other kinds of games with him and he's got some truly mad dice rolling skills. He never used them in Vegas. He thinks that would be some kind of bad karma. Chess is a two edged sword (you gotta love the war terminology). It can seriously develop critical thinking, decision making, pattern recognition, multi-move calculation, difference between short term tactics and longer term strategy. And it can engender a narcissistic blood-lust that can alienate you from others. As a club game, it can be used to befriend folks, or alienate them. You learn the unwritten rules. As you get better, you learn the rules, then the exception to the rules, and then the exceptions to the exceptions. 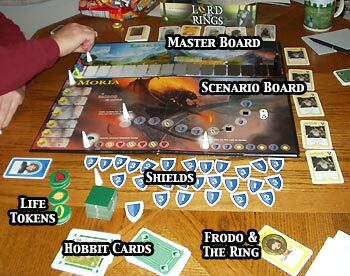 Life boiled down to an 8x8 board. So does your friend think he can control the movement of the dice? If so, he is correct in staying away from Vegas. I have traveled that path in sports forecasting and IMO, he can get conjure real karmic issues on that road. He trusts his instincts on that. It's interesting. Why would using natural talents to gamble and win money bring bad energy? Is it the gambling itself? Is it the money? What about the intent of the player? If I'm betting on horses to feed my family (not unheard of) is that bad karma? Certainly religions frown on gambling. It can easily undermine the family if the gambler is irresponsible. And there is the phenomenon of money screwing with peoples' heads. I play chess because it's a cool game which stimulates the brain, and I like playing against human opponents because they are fallible, just like I am. I used to be able to beat the computer at the "easy" level, but the latest version of GNU Chess already plays at a level of 2400 on a first-generation Pentium — which is a 32-bit processor with clock speeds up to 100 MHz, I believe — and this refurbished machine has two 64-bit cores running at 2.2 GHz. It's impossible to beat that, unless you are Magnus Carlsen himself — I believe he's rated at 2800+. Chess is a noble sport, and therefore I play the game as a gentleman. I'm not interested in winning at all cost. Winning is nicer than losing, but in the end, it doesn't really matter. It happens quite frequently that I'm having a friendly chat with my opponent while we're playing — sometimes they're the ones to initiate the conversation, sometimes it's me. Some never reply when I greet them, but it is possible that they've hidden their chat window so as to not get distracted. And there are some cool people on there, just as there are quite a few nasty ones on there as well. I've played against girls a couple of times, as well as against younger kids. You never really know whom you're playing against until they introduce themselves to you — if they're registered, then the name doesn't necessarily tell you anything. Many of those young kids then immediately want to hook up with me on Facebook, and when I then tell them that I'm not on Facebook, they seem confused. Some are also way too inquisitive about my personal life. I never give them my real name, although I will tell them I'm from Belgium if they want to know where I live, and I will also tell them my age if they want to know about that. Some of the unregistered guests are funny too, but that's in the public chat room. They seem to connect primarily just to fool around in that chat room, and some of them are truly hilarious. In the run-up to the US elections, one of them would always come online as "The_Real_Donald_Trump" or something equally silly — he was always Donald Trump, but the exact spelling of his screen name differed depending on the day, e.g. "Donald_Trumps_Hair". And then he would talk about how his hair is real and all that, and about the wall at the Mexican border that he plans on building. Hilarious. Vegas is a house of mirrors that can truly unleash the deep state monsters. Totally controlled by them, it’s built to make you believe you can win, but will most likely unleash all the soul crashing urges best left untouched. It’s like the diagram at the edge of old maps, ‘here be monsters’. I just checked...I could find no trace of the name, not even in my game history...I"m going to keep looking by date and rating to see if I can find a trace. I'm not sure what to make of it right now...I don't know how things are handled if a player changes their name. Last edited by NotAPretender, 16th December 2017 at 14:52. There is an open invitation to anyone that wants to play on my Gameknot team, though. Studies conducted with pigeons suggests that they are smarter than people when it comes to gambling. When they lose, they know they've lost...people don't...they get the same rush from almost winning as they do when they actually win. I have a friend that struggled with addiction to gambling as well as other things. I know women who play chess and it's often their fathers who teach them. I would have played more with my brother but he was so unpleasant. I don't have a poker face. My husband and I often look for cooperative games. 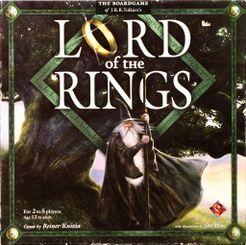 There is an excellent Lord of the Rings game where this is essential or everyone dies/is consumed by Sauron.